We have some new guests coming for the 2019 camp and will be posting them as they are confirmed. Read about the success of camper alums. & a boost going into the fall cross country season. Run and train around experienced elite athletes. Learn new running skills. Gain knowledge that you won't get on your school team. Meet and learn from world class coaches and experts. Get new ideas, tips and inspiration that will get you prepared for the upcoming season and beyond. 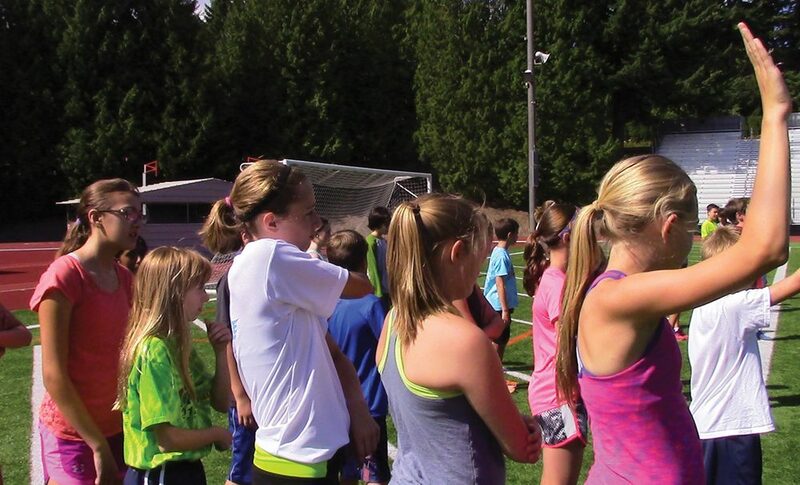 You'll meet Legendary Coach Pat Tyson who is now the Distance Coach at Gonzaga University. While he was the Coach at Mead High School in Spokane, Washington the Harriers achieved an impressive record of 180-8 in one of the toughest dual-meet leagues in the nation. Reaching state competition 18 consecutive years to win 12 state titles, they never placed worse than third. During that time, the Harriers had a nine-year streak when they never lost a competition. 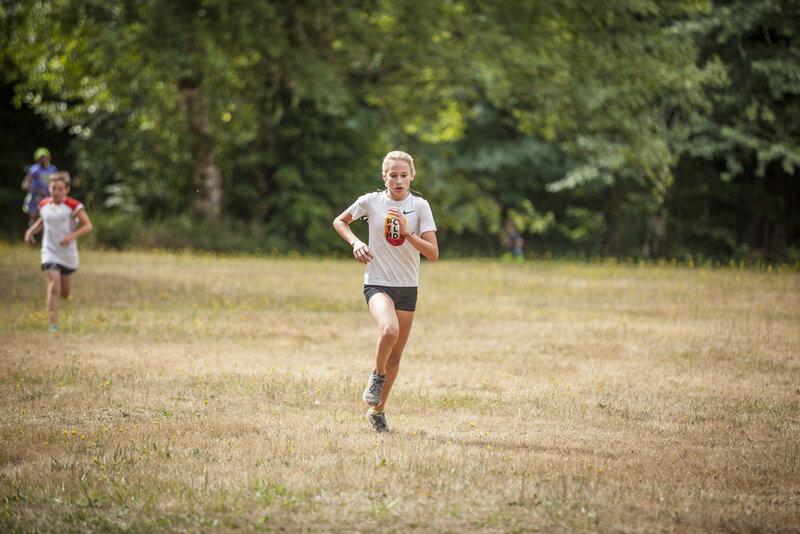 In his last three years at Mead, Tyson's teams placed third, fourth, and fifth at the Nike Team National Championships held in Portland, Oregon. Pat was also Steve Prefontaine's roommate at the University of Oregon and will have plenty of stories to tell. Matt Walsh will be back to teach campers dynamic drills, how to stay long and loose, static stretching, about foam rolling and injury prevention. Matt Walsh is currently at P.A.C.E. in Portland, Oregon. The P.A.C.E. 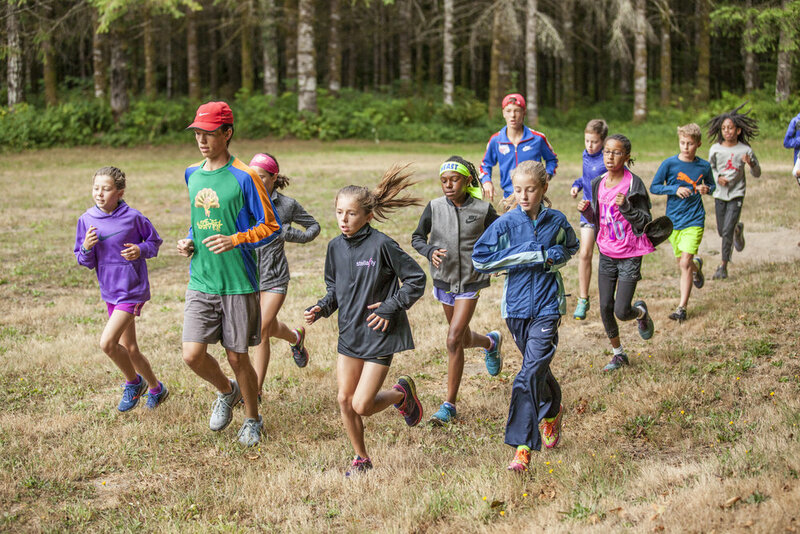 Team works with the Oregon Project athletes such as Jordan Hasay, Matthew Centrowitz, Mo Farrah, and Galen Rupp on physical therapy and strength conditioning. Coach Bob Williams has a lot to offer young athletes. He competed at the University of Oregon from 1963-1967. He continued to be mentored by Coach Bill Bowerman for many years following. Bob uses the same coaching principles and practices of overload, adaptation, and recovery, that he was taught, as well as the latest in sports science to provide the individual athlete with a blue print for success. 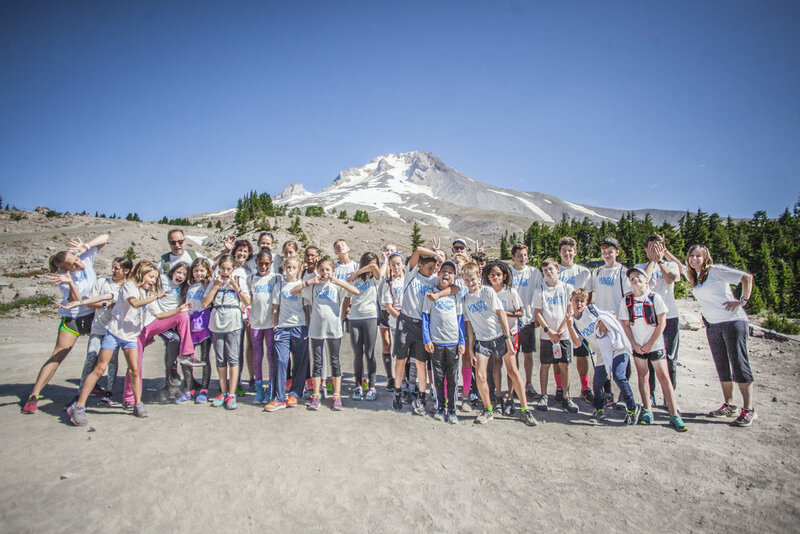 Other experts will teach you tips about your nutrition, how to select a running shoe, preparing for race day, keeping a running journal, balancing homework with your sport, and looking at the big picture so you can always keep it fun. There will also be some surprise athletes and coaches that drop in via face-time or in person. Past guests have included Phillip Rocha who was a Junior Olympic National Champ, High School Star at Arcadia, and now runs at Colorado. Super star in high school, college, and now pro runner Jordan Hasay face-timed in. Kately Tuohy dropped in last year. 13-year old Grace Ping who has nine age group world records (at last count) face timed in. Coach Dave Frank from Central Catholic HS talked about the transition from middle school to high school, the same school that Galen Rupp attended. Legendary Runner and Coach Melody Fairchild, Nike 800m runner Elijah Greer, Nutritionist Wilfredo Benitez, Olympian Jesse Williams, Olympian Ian Dobson, Coach Jordan Schillit, Coach Michael Bergmann, Coach Michael Fleming, Ella Donaghu, Athlete Nik Toochek, and many, many more. Head home at the end of each day. Check in after 4pm on Sunday, August 4th. Depart by noon on Friday. New this year is that you can split the registration fee into payments at the end of checkout.